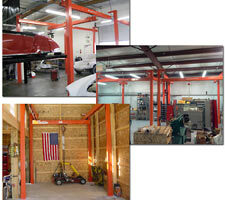 SnapTrac Cranes are the most cost-effective solution for moving heavy material. 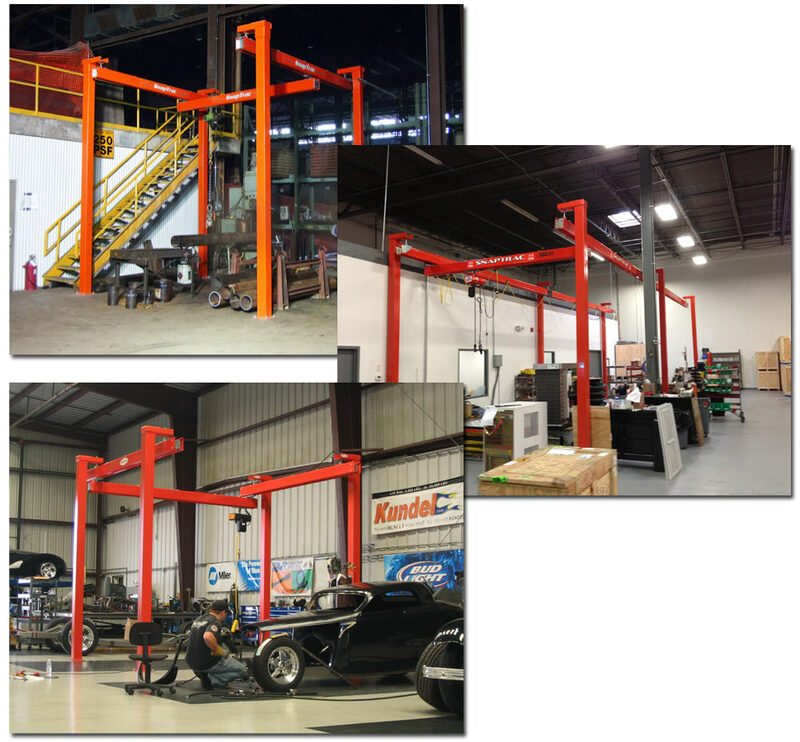 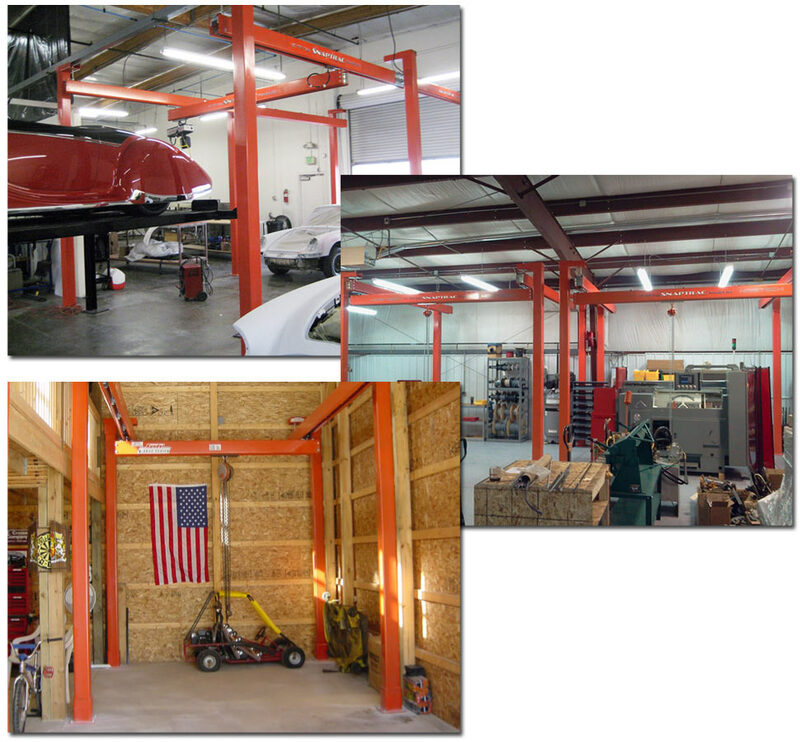 These crane systems are designed to be modular for easy expansion and reconfiguration. 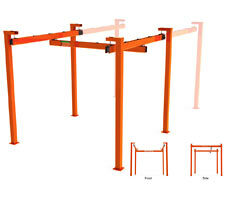 These bridge cranes feature a 12' bridge span and are available in several runway lengths. SnapTrac cranes are easy to integrate into any work environment and are easy to expand when needed. 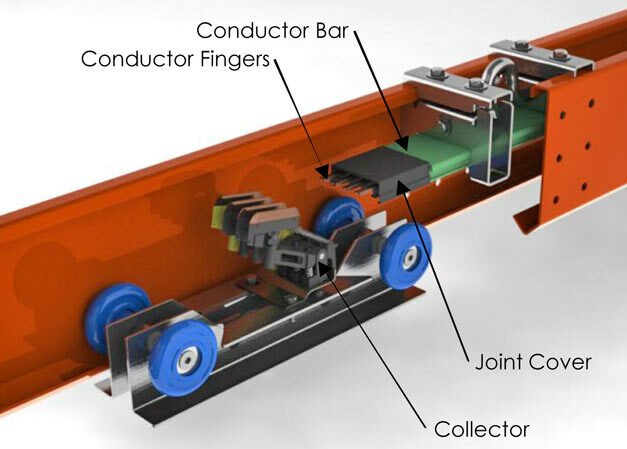 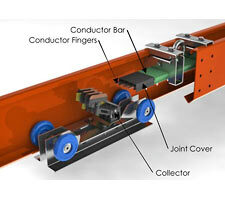 These kits come with everything you'll need to erect a new bridge crane in less than a day. 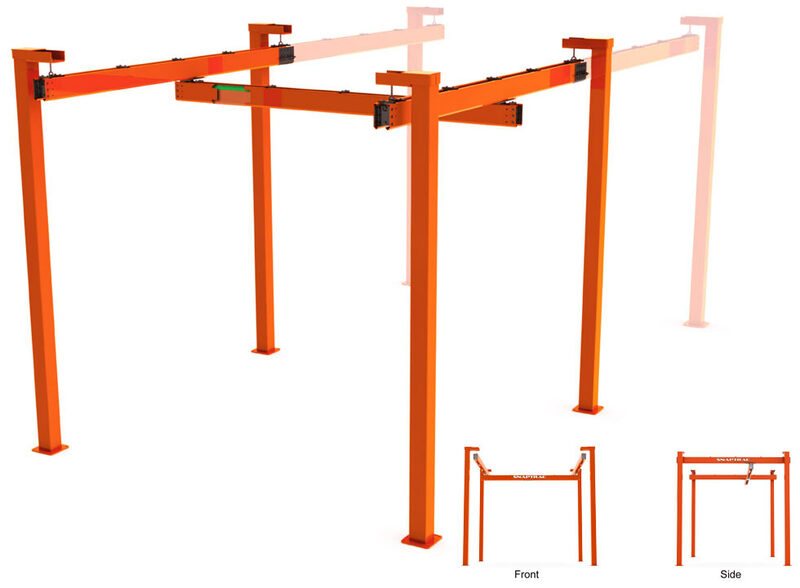 3: SnapTrac are the shortest trolleys in the industry, giving you maximum overall crane coverage at only 16" long.